Wealth: 103,447 acres valued at £24,872 per annum (p.a.). History: The 3rd son of the 4th Duke of Montrose, he was educated at Eton College and succeeded his father in 1874. He joined the Coldstream Guards in 1872, transferred to the 5th Lancers, 1874, and retired 1878; late Colonel commanding 3rd Battalion of the Argyll and Sutherland Highlanders. He served in the South African War (medal and two clasps). He was appointed a Knight of the Thistle in 1879 and was Chancellor of the Order from 1917. He was ADC to HM the King. He was Lord Lieutenant of Stirlingshire from 1885 to 1925, Hereditary Sheriff of Dumbartonshire (now Dunbartonshire), Lord Clerk Register from 1890 until his death, and Lord High Commissioner to the General Assembly of the Church of Scotland in 1916–1917. Married Violet Hermione Graham, d. of a baronet in 1879, and had five children. Wealth: 70,137 acres valued at £97,486 p.a. History: Fourth son of the 5th Duke, he is the author of the famous quote “Let wealth and commerce, laws and learning die, But leave us still our old Nobility!”, included in England’s Trust and Other Poems, his book of poetry published in 1841. 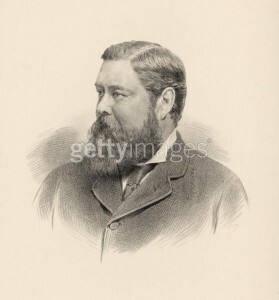 Served as Lord of the Bedchamber to the Prince Consort, and served in politics for fifty years, where he served as First Commissioner of Works, Post-Master General under both Disraeli and Salisbury, and was Chancellor of the Duchy of Lancaster in the Conservative government of 1886–92. For his service in Parliament, he was made GCB in 1880, Knight of the Garter in 1891, and Baron Roos of Belvoir, in the County of Leicester in 1896. He married twice: first, Catherine Marley, who gave birth to his heir in 1852, and secondly, Janetta Hughan, with whom he had seven children. Wealth: 25,387 acres valued at £37,577 p.a. History: Eldest son of the 11th Duke, educated at Eton and Christ Church, Oxford, he entered Parliament in 1830. He served under Lord Melbourne as a Lord of the Treasury between 1835 and 1839, as Joint Secretary to the Board of Control between 1839 and 1841 and as Under-Secretary of State for the Home Department between June and August 1841 and was a member of Lord John Russell’s first administration as First Commissioner of Woods and Forests between 1849 and 1851, when the office was abolished. 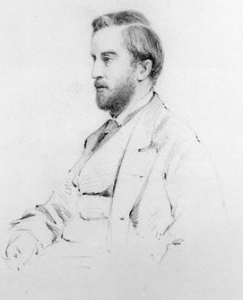 He served on the Royal Commission on the British Museum (1847–49). In August 1851 he was appointed to the newly created office of First Commissioner of Works by Russell. In October of the same year he entered the cabinet and was sworn of the Privy Council. He remained First Commissioner of Works until the government fell in February 1852. Succeeded his father in 1855 and entered the House of Lords and was appointed First Lord of the Admiralty under Palmerston’s government. He was made a Knight of the Garter in 1862 and in 1863 he was created Earl St. Maur, of Berry Pomeroy in the County of Devon. Married Jane Georgiana Sheridan in 1830, granddaughter of Richard Brinsley Sheridan and well-known for her beauty. They had five children. Wealth: 186,397 acres valued at £176,048 p.a. History: Eldest son of George Percy, Lord Lovaine, eldest son of Algernon Percy, 1st Earl of Beverley, a younger son of Hugh Percy, 1st Duke of Northumberland. He served Civil Lord of the Admiralty between 1858 and 1859 and as Paymaster-General and Vice-President of the Board of Trade in 1859 in Lord Derby’s second government. The latter year he was also sworn of the Privy Council. In 1867 he succeeded in the dukedom on the death of his father and entered the House of Lords. 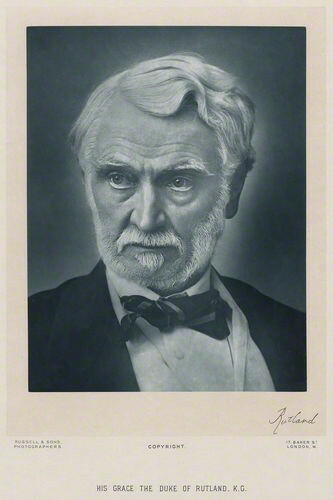 He joined the Earl of Beaconsfield’s second government as Lord Privy Seal in 1878, with a seat in the cabinet, a post he held until the fall of the government in 1880. Northumberland was also Lord Lieutenant of Northumberland between 1877 and 1899. He was made a Knight of the Garter in 1886. Married Louisa Drummond in 1845 and had two sons. Wealth: 87,507 acres valued at £141,577 p.a. History: The son of Major-General Lord George William Russell and Lady William Russell, and the grandson of John Russell, 6th Duke of Bedford, Russell was commissioned into the Scots Fusilier Guards in 1838. He was Liberal Member of Parliament for Bedfordshire between 1847 and 1872 when he succeeded to his dukedom and took his place in the House of Lords. In 1886, he broke with the party leadership of William Ewart Gladstone over the First Irish Home Rule Bill and became a Unionist. He took an active interest in agriculture and experimentation on his Woburn Abbey estate and was President of the Royal Agricultural Society in 1880. On December 1, 1880, he was made a Knight of the Garter. Married Lady Elizabeth Sackville-West and had four children. Wealth: 49,866 acres valued at £75,596 p.a. History: Eldest son of the 14th Duke of Norfolk and educated at The Oratory School, a Roman Catholic public school, he was born a generation after the Catholic Relief Act 1829 but before the reconstitution of Roman Catholic dioceses in 1850. Succeeded to the Duke of Norfolk and the hereditary office of Earl Marshal held by the dukes in 1860, In his dual role as Premier Duke and most prominent Roman Catholic in England, he undertook a program of philanthropy which served in part to reintegrate Roman Catholics into civic life. Sworn of the Privy Council and appointed Postmaster General by Lord Salisbury in 1895, holding the post until the government was reorganized in 1900. In July 1897 he was appointed the first Lord Mayor of Sheffield, which he remained until November of the same year, he was also Lord Lieutenant of Sussex between 1905 and 1917, and was made a Knight of the Garter in 1886 and an honorary Freeman of the City of Sheffield in 1900. Married Lady Flora Abney-Hastings in 1877 and had one child; married secondly, Gwendolen Constable-Maxwell, with whom he had four children. Wealth: 175,114 acres with a value of £50,842 p.a. History: Second but only surviving son of the 7th Duke of Argyll, he succeeded his father in 1847, and also became hereditary Master of the Household of Scotland and Sheriff of Argyllshire. A close associate of Prince Albert, he served as Lord Privy Seal between 1852 and 1855 in the cabinet of Lord Aberdeen, and then as Postmaster General between 1855 and 1858 in Lord Palmerston’s first cabinet. 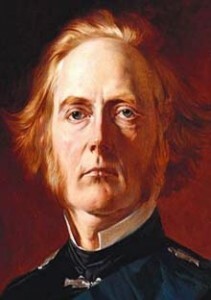 He was again Lord Privy Seal between 1859 and 1866 in the second Palmerston administration, and then under Lord Russell’s second administration, in which position he was notable as a strong advocate of the Northern cause in the American Civil War. 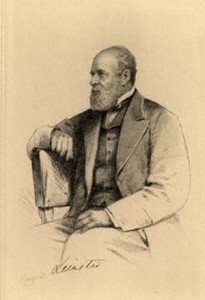 In William Ewart Gladstone’s first government of 1868 to 1874, Argyll became Secretary of State for India. In 1851, he was elected a Fellow of the Royal Society and was appointed Chancellor of the University of St Andrews. Three years later, he became additionally Rector of the University of Glasgow. Married three times: Lady Elizabeth Sutherland-Leveson-Gower (with whom he had six sons and seven daughters), Amelia Claughton, and Ina McNeill. His son and heir married The Princess Louise, daughter of Queen Victoria in 1871. Wealth: 73,100 acres valued at £55,877 p.a. History: Eldest son of the 3rd Duke of Leinster, he was educated in 1839 at Christ Church, Oxford. He was Commissioner of National Education for Ireland between 1841 and 1887 and was M.P. for County Kildare between 1847 and 1852.3 He gained the rank of Honorary Colonel in the service of the 3rd Battalion, Dublin Fusiliers. He held the office of Chancellor of Queen’s University, Ireland between 1870 and 1881 and was invested as a Privy Counsellor in 1879. Married Lady Caroline Sutherland-Leveson-Gower in 1847 and had fifteen children. Wealth: 8,998 acres valued at £10,955 p.a. History: The only son of the 9th Duke of St Albans, he succeeded his father in 1849, age nine. 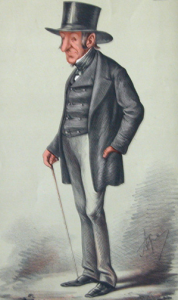 He later took his seat on the Liberal in the House of Lords and served as Captain of the Yeomen of the Guard from 1868-1874 in William Ewart Gladstone’s first administration. In 1869 he was sworn of the Privy Council. 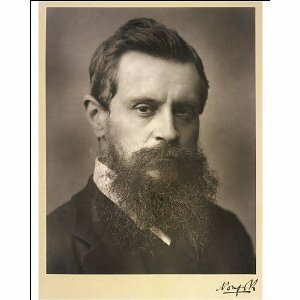 He never returned to political office but served as Lord-Lieutenant of Nottinghamshire between 1880 and 1898. Married Lady Sybil Mary Grey in 1867 and had three children, married secondly Grace Bernal-Osborne in 1874, the granddaughter of London Sephardic Spanish Jewish Shakespearian actor turned Parliamentarian Ralph Bernal, and had five children. Wealth: 19,116 acres valued at £22,162 p.a. History: Son of Lord Charles Wellesley and grandson of the 1st Duke of Wellington. Educated at Eton, he joined the 2nd Battalion, Grenadier Guards as an ensign on 16 May 1865, was promoted to major on 1 July 1881, and retired from the service on 28 June 1882. He unsuccessfully contested the Parliamentary constituency of Andover in 1868. 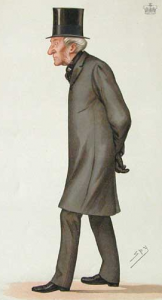 He won the seat in 1874 and held on to it until 1880. He inherited the dukedom from his uncle the 2nd Duke in 1884 and subsequently, his sisters Victoria and Mary were granted the rank of daughters of a Duke. Married Evelyn Katrine Gwenfra Williams (sister of the infamous Edith Aylesford) in 1882 and had no children. Well, they were clearly more prolific. I can’t read 10 dukes because the ‘links’ ribbon is strung over the right side of the article. @Darlene: That’s odd! I just checked the blog in Firefox, IE and Google Chrome and the layout looks normal. Perhaps you can adjust your screen resolution and see if that is the cause of the issue! The 12th Duke of Somerset died in 1885 (and the next two,his brothers,in 1891 and 1894). 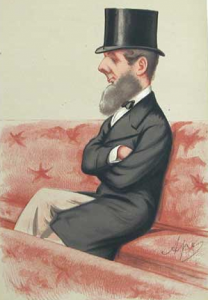 The 6th Duke of Northumberland died in 1899. The 9th Duke of Bedford died in 1891 and his eldest son/successor in 1893. The 8th Duke of Argyll died in 1900….so did the 3rd Duke of Wellington. 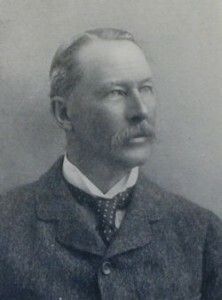 The 10th Duke of St. Albans died in 1898. I’m afraid most of these noblemen would have been unable to attend any dinner held during the reign of Edward VII!